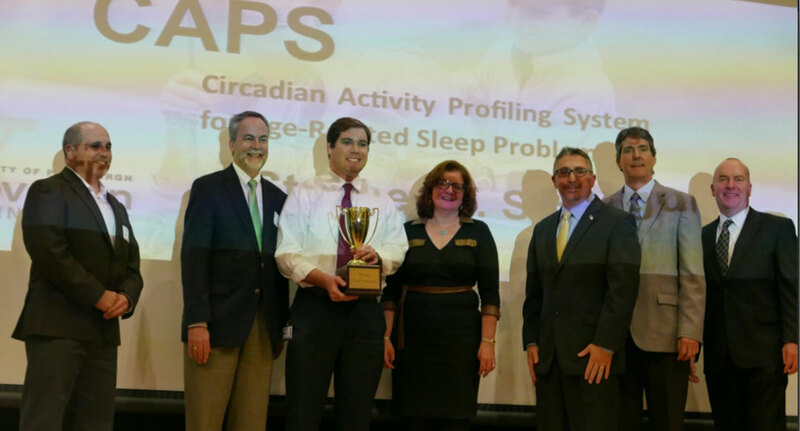 Congratulations to Stephen Smagula for his big win (wow – $60,000) at the Philips Grand Challenge with his Circadian Activity Profiling System (CAPS)! The Grand Challenge was designed to enhance opportunities for innovations developed at the University of Pittsburgh in areas of interest to Philips to advance towards commercialization. Paula Grendys was part of Stephen’s business mentoring team through the Pitt Ventures First Gear program held earlier this year. Stephen will use his prize to further his technology and develop a mobile application that will download data generated by an activity watch. The data will then be processed via a proprietary algorithm to calculate a ‘wellness profile’.